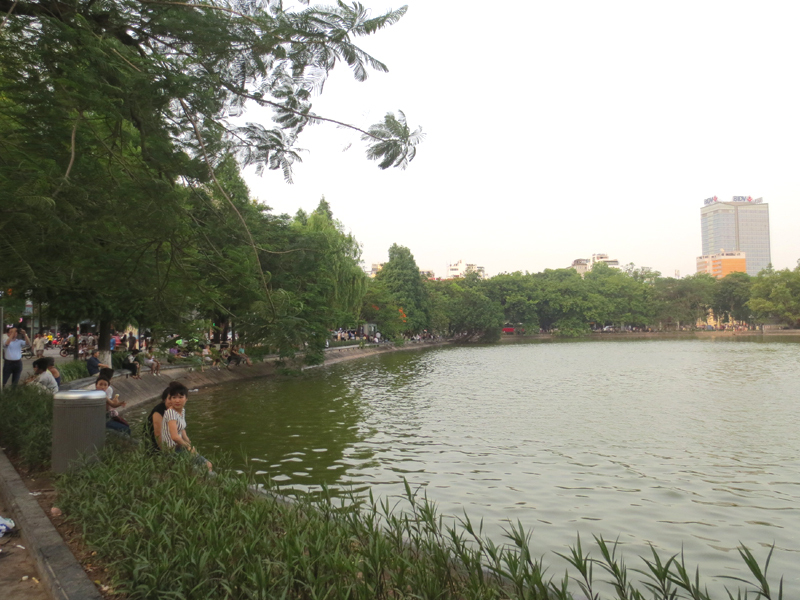 Hoan Kiem Lake is the oasis where people can relax. It's a popular spot for dating, too. It would have been nice to walk across the red bridge seen in the back. 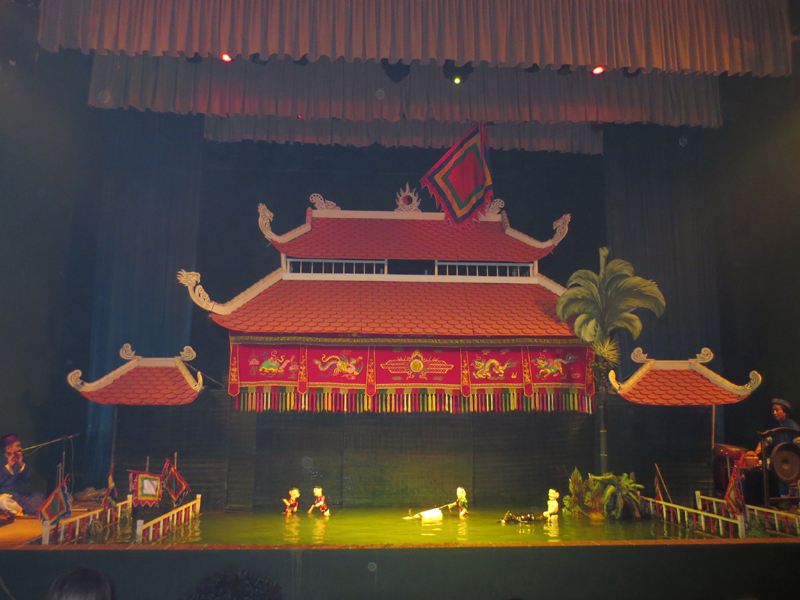 These are the pictures from the water puppet show at Bong Sen Theater. There is a screen in the back of the stage, where puppet operators in swim suit seem to be moving the puppets. 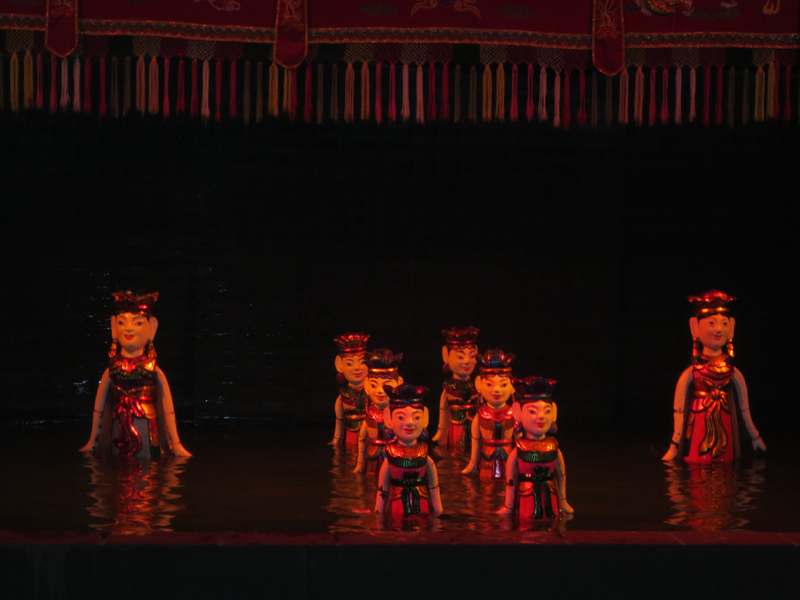 At the end of the play, they emerged from the back with their lower half of the bodies in water. We took a picture with our guide Chuan at the airport. His name can be written "長" in Kanji. 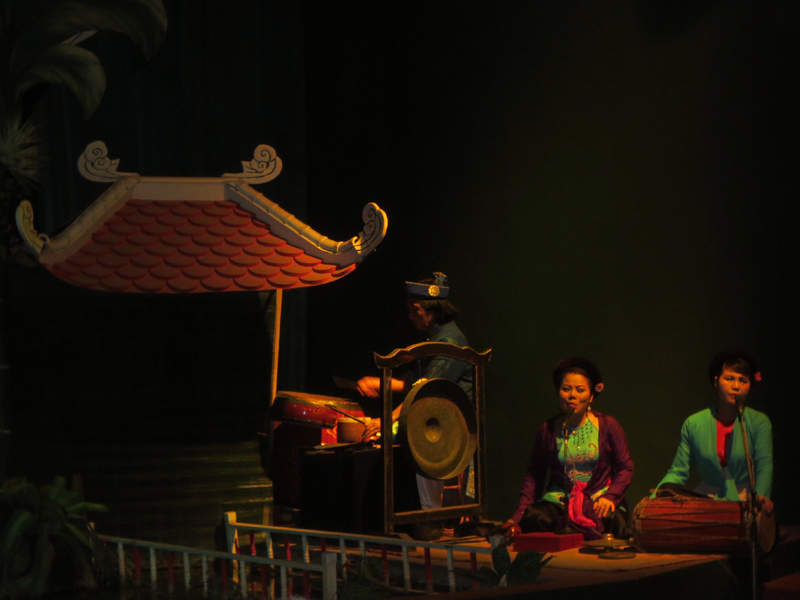 I didn't know kanji (or Chinese character) is used in Vietnam. I didn't see any kanji on signs or anywhere, though. There are 54 ethnic groups. 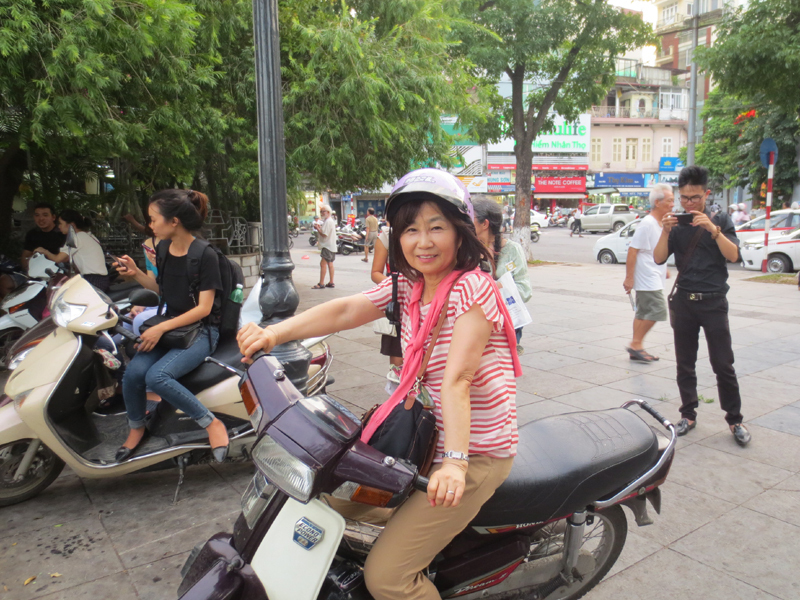 The majority of Vietnamese belong to Kinh and our guide is one of them. He showed us his ID card on which his ethnic is clearly written. 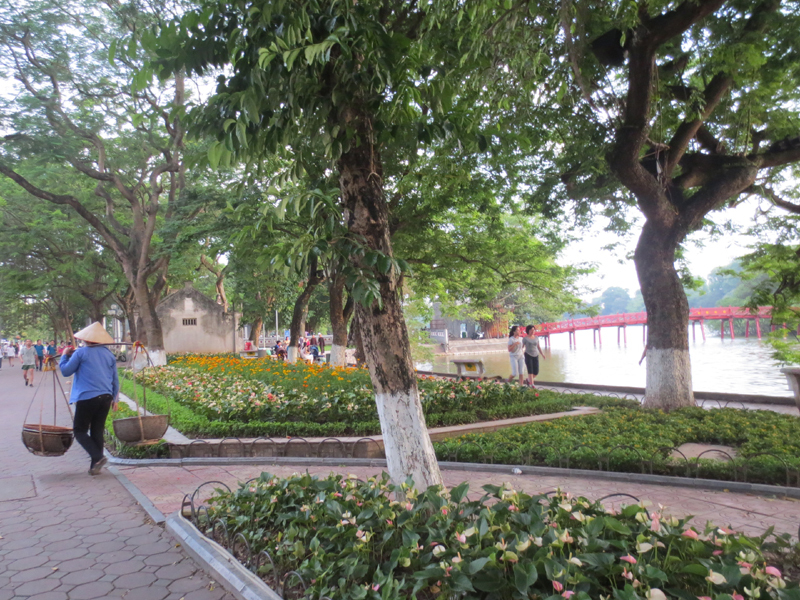 He talked about not only about Vietnamese and other important things but also very personal matters such as his family and his wife so that we could have an idea of what it is like to live in Vietnam. Thanks to him, we could enjoy the trip so much. He speaks fluent Japanese, but as if it were not enough, he is still studying for the first grade Japanese test. Maybe then his Japanese may get better than us Japanese. 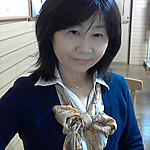 I'd like to thank my friend Hiroko for inviting me to join this trip. 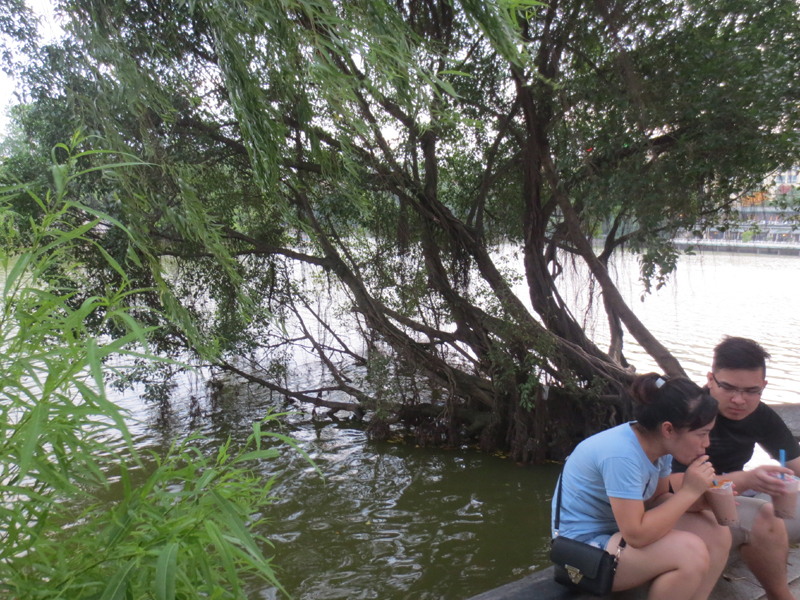 If it had not been for her invitation, I would not go to Vietnam in my life. 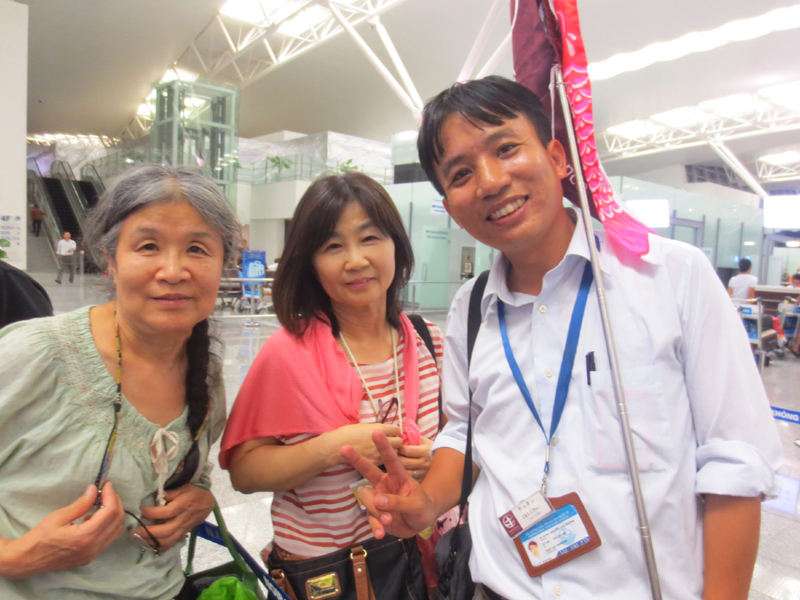 I also thank two ladies from Yokosuka for being so nice to us. It would be nice if there were to be a chance for us to meet again somewhere some day. Until then. See you and take care! naruhoto. . I took a trip 2years ago(same route) with my friends. Thank you for visiting my blog and leaving a message. Angkor Wat is one of the places I'd like to visit some day some day.